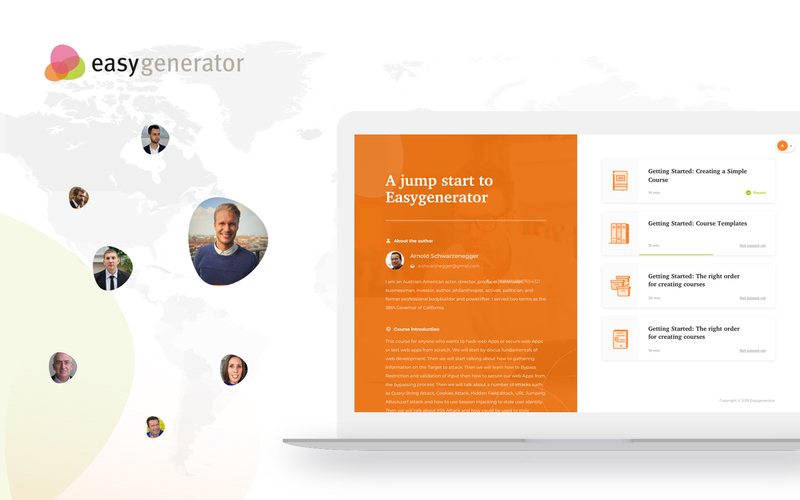 In this blog, we will highlight the challenges these companies faced and, more importantly, the solutions that Easygenerator was able to provide. 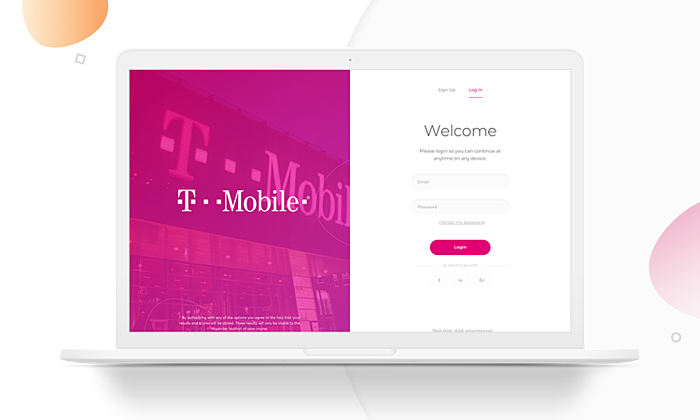 T-Mobile is the mobile brand for the German telecommunications company Deutsche Telekom AG. T-Mobile is active in many countries, including Germany, the UK, Austria, the Netherlands, Poland, and the United States. Currently, T-Mobile has over 44,000 employees. T-Mobile's L&D department is responsible for offering training across the company and found they were struggling to meet the high demand for training requests. The telecom industry requires regular product launch training as well as for compliance and regulations. Traditional L&D practices could not meet the demand, so their L&D team looked into a solution to scale training while being forced to reduce spending. T-Mobile’s situation is very common in the learning and development field; budget cuts had reduced the L&D team from 14 trainers to 4, whilst the demand for training kept increasing. Training requests were accelerating because new products were being launched rapidly, the amount of regulation (such as GDPR) was increasing, and consumers expect better customer service. Staff cuts forced the L&D team to reject training requests. They needed to find a way to scale training output while using only 25% of their previous resources. Is there a large enough audience to create a training resource? Does the training resource address a learning goal? Is the training output didactically sound? The responsibility for fulfilling training requests shifted from the L&D department to the business units. L&D became responsible for quality assurance and guidance, shifting away from content creation. After a year of using Easygenerator company-wide, 100% of training requests are being fulfilled. 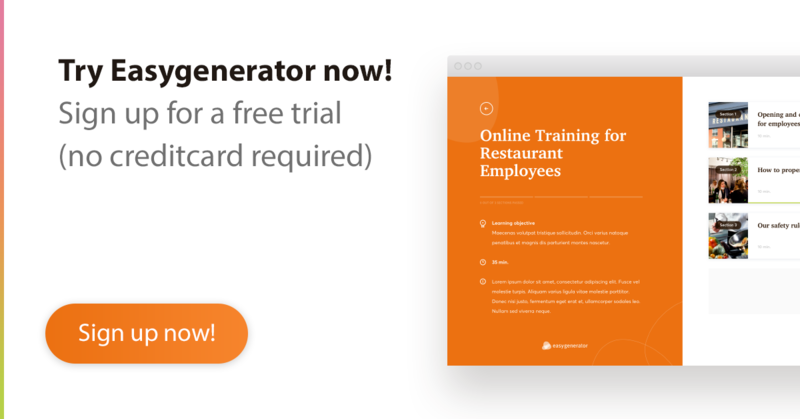 Training is created 12x faster in Easygenerator than by having a training specialist create a course using difficult, specialized e-learning solutions. Ever since T-Mobile adopted Easygenerator, the number of training resources created has increased five-fold. Founded in Sweden in 1919, Electrolux has grown during its first 100 years to become the world’s second largest manufacturer of home and commercial appliances. Today, iconic Electrolux products, from refrigerators to vacuum cleaners to washing machines, are used and loved in homes and businesses in virtually every country in the world. With subsidiaries and branches in every region, Electrolux employs over 55,000 people. They also provide extensive product and support training to the tens of thousands of employees of their sales and service partners. As the company’s business continues to grow, its training needs are expanding as well. Instead of continuing to provide face-to-face training sessions for thousands of its re-sellers’ sales and support personnel, Electrolux recently turned to Easygenerator to help launch a highly successful blended learning program. Electrolux turned to Easygenerator to introduce the cost-effective, highly agile and scalable blended learning strategy that it uses today. “Easygenerator was the kick-off for going digital,” explains Eva Eriksson. While Electrolux still uses face-to-face training for some topics, it is now focused on a blended approach. Using Easygenerator has enabled Electrolux to greatly increase the reach and effectiveness of its training operations. 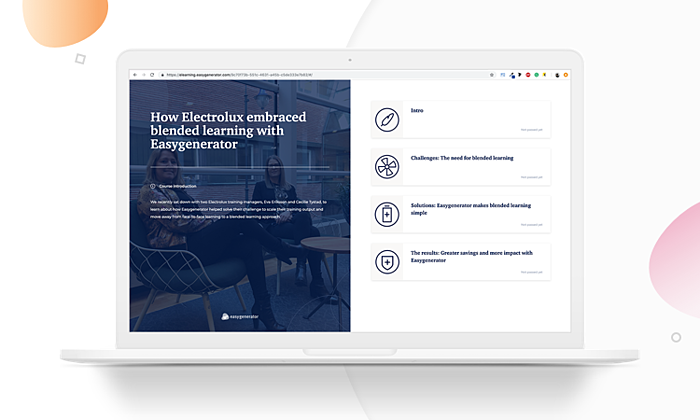 According to Eva and Cecilie Tystad, Easygenerator has brought a wealth of benefits to the training program at Electrolux. Despite strong competition from other brands, Electrolux is now confident that its blended learning model is helping it stand out with retailers in the European region. There’s no greater asset to a manufacturer than well-educated, loyal retailers. As a result, the training managers at Electrolux are proud to say that they can start measuring the correlation between retailer training and sales performance throughout their region. With Easygenerator, Electrolux can look forward to even greater successes as it enters its second century. Nielsen, a global data measurement company with over 40,000 employees in more than 100 countries globally, started using Easygenerator to help the company's Talent Engagement & Development (TED) team find new solutions to address an abundance of learning requests. Using Easygenerator, subject-matter experts can now generate learning content themselves. Since the beginning of 2016, Nielsen employees from more than 20 countries and diverse business units, including Operations, Marketing and Finance, have leveraged the platform. Nielsen's TED team focuses on global projects aligned with strategic business priorities. Due to shifts across the business, ad hoc training requests increased; in many cases, they fell outside of TED priorities. In just over one year, Nielsen has engaged a new audience of employees to create training for both internal and external audiences. 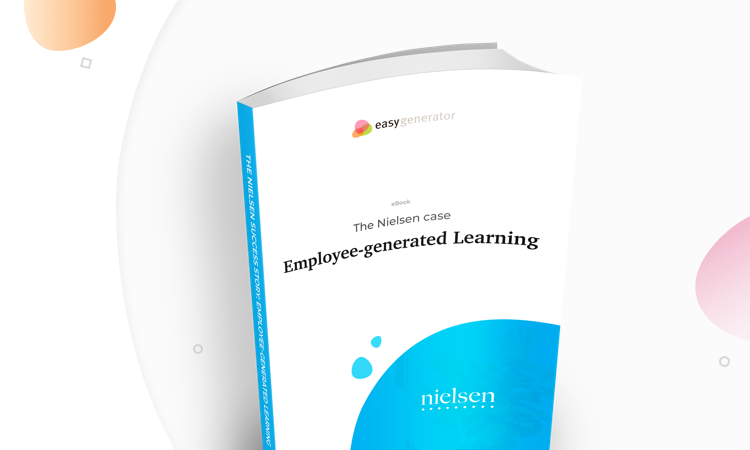 Over 100 Nielsen employees are actively using Easygenerator with over 400 associates contributing to training being developed, establishing a new model of peer-to-peer training. The effects span from materials being available for learners faster than ever before to new training available in e-learning that would have been limited to other modalities in the past. As these case studies show, e-learning and Employee-generated Learning are highly beneficial to multinational companies. The key to reaping these benefits is to provide an extremely easy-to-use content authoring tool like Easygenerator. This ensures a smooth launch and rapid scalability. As a result, companies can enjoy better training outcomes, often at a fraction of the cost.